Creating high-quality content is a great way to make your business stand out from the crowd. Content creation expands your online presence and helps build trust and engagement. There are dozens of reasons why content creation is essential to any marketing plan, but creating that content can be difficult. That's why more and more companies hire freelance writers. Whether your content needs include drafting whitepapers, creating press releases, or perfecting landing pages, having a professional writer on board can make all the difference when it comes to quality. Finding a professional writer is easier than ever thanks to content creation services and job boards. These tools help connect companies with expert writers that can create the content any business needs to be successful. We've put together a list of resources you can use when it's time to hire freelance writers. Upwork is by and large the most widely recognized freelance job board. Upwork is the result of a merger between Odesk and Elance and features an extensive database of expert writers. You can use filters to narrow down the candidates and find the ones that fit your niche and business needs. You can search for writers based on their experience and how much they charge—including their fixed price and hourly rates. You can also search for writers that speak a particular native language or those that have expertise in a specific country. While Upwork's size makes it a great candidate for finding freelancers, it can be difficult to find the best writers in the huge log of users. To successfully find a freelance writer on Upwork, you'll need time and patience to filter and sift through thousands of results. You need to create a profile in order to publish a job ad. Posting job ads is completely free. Upwork makes its money by taking a cut of 10 percent from the freelancer's total earnings. You'll receive notifications when you receive a new applicant and can set up interviews and follow-ups directly on the site. Guru is similar to Upwork in that it is a large online job board. To date, Guru boasts more than 1.5 million active users from all over the world. What sets Guru apart from Upwork is that they also feature a built-in project management tool. You can create onboarding documents right on the website. You can even use Guru to manage your content marketing process by sharing documents and creating tasks. Guru and Upwork are both great choices for small business owners that may have tighter budgets. Since it's free to post job ads, it's easy to get the attention of qualified candidates without having to shell out big bucks. Again, you'll need to be patient and use filters to narrow down the candidates from a large pool. Like Upwork, Guru takes a percentage of freelancer's profits and features free job postings for businesses. The fee depends on the type of membership the freelancer chooses and can range from five to ten percent for each project. If you're looking for something and exceptional quality isn't your top priority, you can probably find it on Craigslist. Craigslist features a job listing section where you can search for qualified writers. This tool is best suited for businesses that are looking for freelance writers in the local community. If you're looking for a writer that can work remotely and come into the office a few times a week or month, then Craigslist is your best bet to finding that freelance writer. The quality of writers on Craigslist won't be as high as those on Upwork or Guru. You need to make sure you have a strong vetting procedure in place to weed out the writers that just aren't a good fit. You also don't have any team support from Craigslist if there is a payment dispute or if other issues arise. It's free to create a job listing on Craigslist and you don't even need to sign up for an account. Simply select your region and click on "create a posting". Fill out the details and freelancers in your community will see your job posting immediately. ProBlogger is a paid job board where businesses can find great writers. The quality of the writers on ProBlogger is high and freelancers typically have several years of experience creating content. The job board has a smaller reach than Upwork, but tends to have higher quality writers overall. You can also use this job board to find other marketing team members including copyeditor, marketing managers, and content marketers. You need to create an account and pay to post job ads on ProBlogger. To post a job, you'll need to pay $70 and the listing will be active for 30 days. You can renew the posting every 30 days for an additional fee if you don't find the freelance writer you're looking for right away. The Writer Finder is an agency that connects business owners with expert freelance writers. 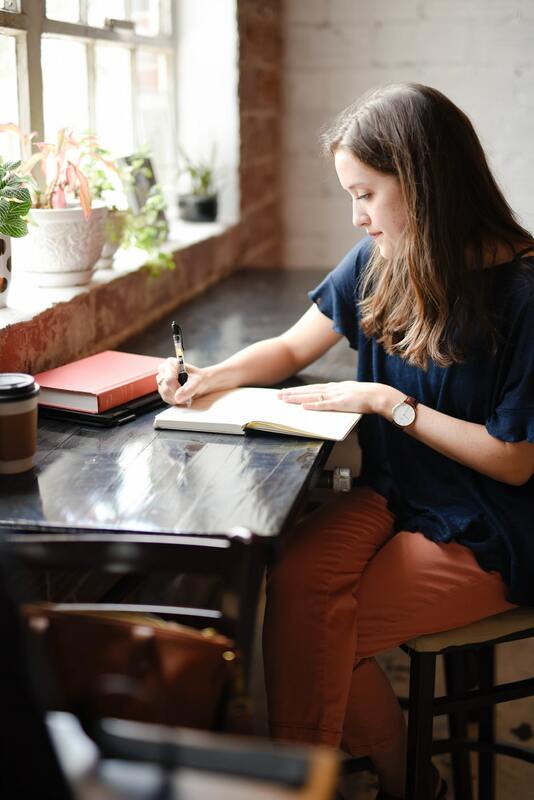 The team at The Writer Finder searches through an extensive database of vetted and experienced writers to connect you with one that suits your business needs and content topics. These services come with a full money-back guarantee if you aren't satisfied with the quality of the writers. For an additional fee, you can also get help with creating a content calendar and other writer-related tasks. 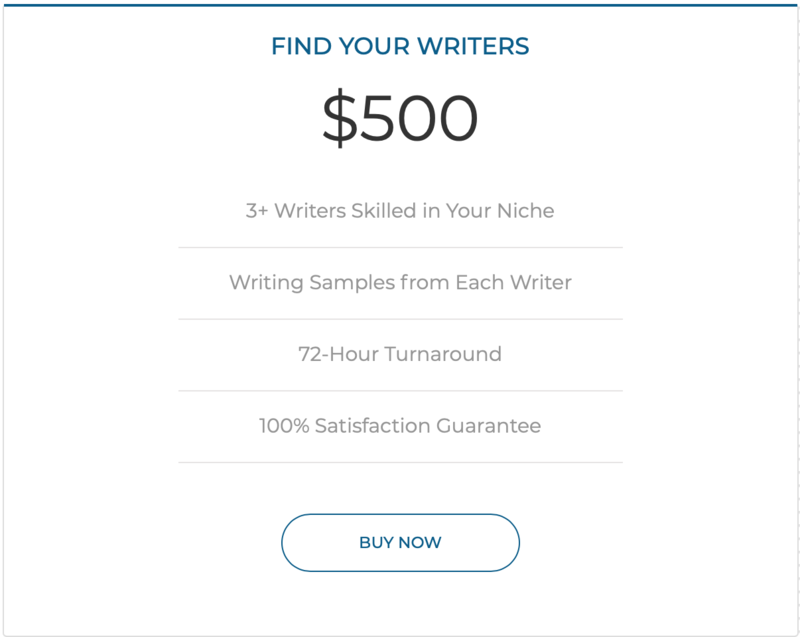 The Writer Finder will help you find expert content creators for $500. You'll receive a list of three writers within 72 hours after purchase. The writers are hand selected based on their qualifications and your specified price point. You'll also receive a link to the writer's portfolio and writing samples so you can judge for yourself whether the writers are a good fit or not. If you like a writer, you connect directly with them to establish a working agreement. 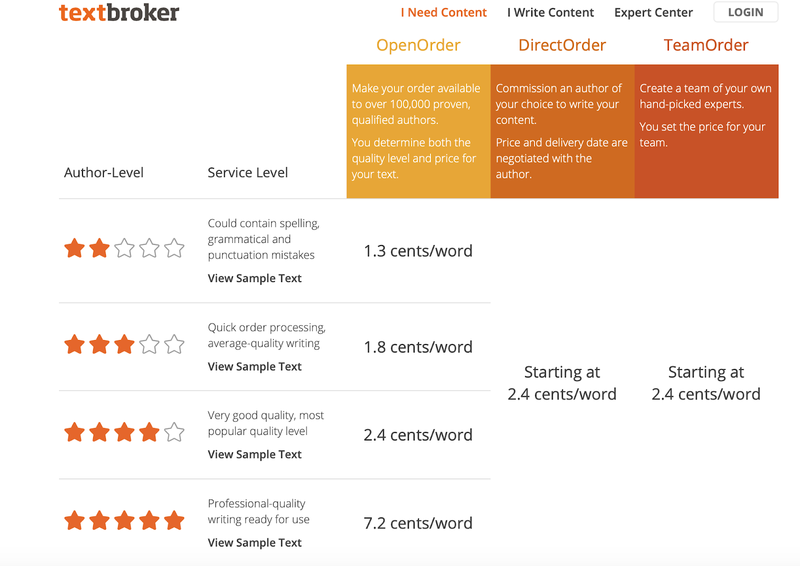 Textbroker is similar to The Writer Finder and focuses specifically on connecting businesses with content writers. The company boasts a database of more than 100,000 qualified writers on the American continent alone. Textbroker offers several different payment options for businesses looking for writers to create custom content. You can purchase content based on the quality of the writer, which is denoted by a five-star ranking system. Less experienced writers are cheaper to hire than professional level writers. Rates range from as little as 1.3 cents per word up to 7.2 cents per word. You can also choose to commission an author of your choice or create a team of hand-picked experts. To commission an author, you simply make a DirectOrder, which starts at 2.4 cents per word. For a team of hand-picked experts, select TeamOrder and expect pay to start at 2.4 cents per word. Contently is the gold standard of agencies that connect businesses directly with vetted writers. All of the services at Contently are customized to each individual client. The platform works with only the highest quality writers to help you find the perfect writer, even if your niche is incredibly small. The company also offers workflow services and an analytics platform to help you track how your content does. For content marketers, a tool like Contently is worth its weight in gold. 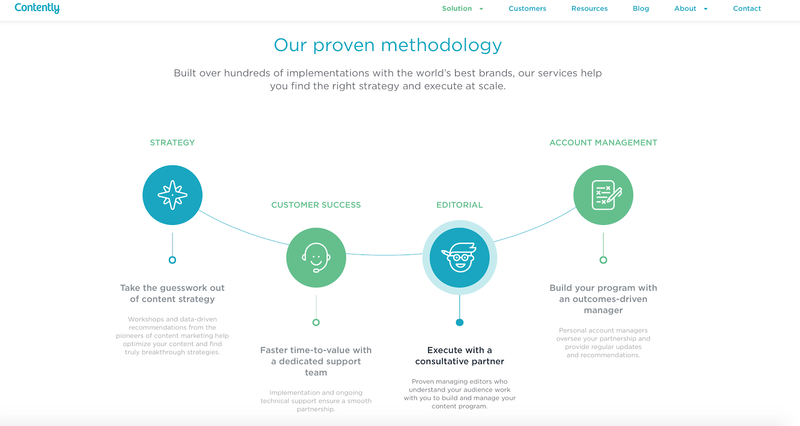 The team helps manage everything from strategy to content creation and you'll work closely with a consulting partner to figure out your business's marketing needs. This platform is only recommended for businesses that don't have budget limitations and can choose to focus on highly skilled content. Brands that have previously used Contently include Google, Marriott, Walmart, JP Morgan Chase, and IBM. To get started with Contently, you'll need to speak directly to an agent. Contently doesn't publish their pricing publicly since all contracts are customized. While their services may be more costly than other alternatives on this list, you do get bang for your buck in terms of knowledge and guidance throughout the content creation process. WriterAccess has a smaller database of writers than Textbroker, but still helps business owners connect with content creators. Currently, WriterAccess has a database of more than 16,000 writers in the United States. There are two ways to get started with WriterAccess, both of which require an account. First you can choose to pay as you go. You don't pay any subscription or service fees and you still gain access to all 16,000 writers. You'll receive team support and an order approval time of 5 days. The second option is to pay an up-front no-risk deposit. There are two deposit payment options: $2,500 and $10,000. If you're a large business and you need to produce a ton of content, this is a good way to go. For a $2,500 deposit, you'll receive all the benefits of a pay-as-you go plan plus a dedicated account manager. You'll also have a kickoff call and content strategy review before you get started with freelance writers. You'll also receive writer recommendations and live platform training. For a $10,000 deposit you'll get all of the above plus a dedicated senior account manager. You'll also receive custom enterprise contracts, free managed services, and help from content strategists. If you know you'll be producing a ton of content, an upfront investment can get you perks that save you time and build your content marketing expertise. Content is an important aspect of any marketing strategy whether you're running a small business or a multinational corporation. It's one of the best ways to drive engagement on social media and to offer insight and information to potential customers on your website. Freelance writing is so much more than just blog or article writing. A freelance writer can help you create website content that will wow your readers. Freelancers can help you create engaging social media posts, case studies attesting to the quality of your products, and website copy that will keep readers coming back for more. Whether you're looking for tech writers or someone with creativity and humor, you're sure to find what you need by using these tools to hire freelancers. Using a freelancer to outsource your website copy helps save you time and improves the quality of the information you share with potential customers. Writing isn't easy and neither is finding professional writers. With these tools, you're well on your way to hiring freelance writers that can take your website to the next level.